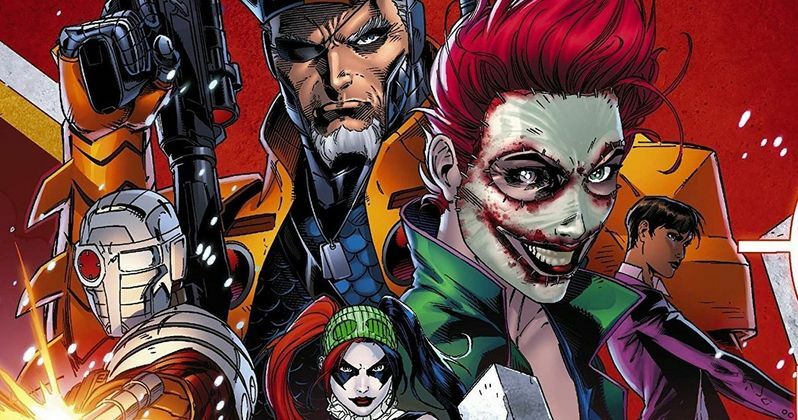 James Gunn's The Suicide Squad is gearing up to begin filming in September. This movie, in its various forms, has been in development for a few years now, virtually ever since Warner Bros. got the opening weekend box office receipts for the first one and realized they had something people will turn out to see in droves. Now, they've finally settled on a version they're happy with and it's going to begin production this fall under the direction of Gunn. It was recently revealed that Will Smith will not be returning for the sequel, which is actually more of a soft reboot of the franchise that will still take place in the same universe as the original. Smith portrayed Deadshot in David Ayer's Suicide Squad and a deal wasn't actually in place for him to reprise his role. The split was reportedly amicable and they're soldering on without him. Buried within one of the reports about Smith not coming back came with the reveal that Warner Bros. is looking to get cameras rolling in Atlanta this September. At the present time, not much has been revealed, other than the fact that James Gunn, who is writing the screenplay in addition to directing, will bring in a new team. However, it is expected (despite previous reports to the contrary) that Margot Robbie will reprise her role as Harley Quinn in Suicide Squad 2, which has been titled The Suicide Squad to help make it clear that this is distancing itself a bit from the first movie. For the time being, there is no word on what characters from the pages of DC Comics will assemble to form this new team, nor is it clear what actors are being eyed to star. With production still more than six months away, it could be a while before we actually get word on that front. James Gunn is probably still finishing up the screenplay. Warner Bros. was quick to lock Gunn down after he was fired by Disney from his duties as director on Guardians of the Galaxy Vol. 3. Gunn had helmed both previous installments in that franchise to great success. However, Disney fired him after a series of old, offensive tweets resurfaced online, a decision that was highly scrutinized, even by the movie's cast, who publicly expressed their desire to see him reinstated. Dave Bautista, who plays Drax, has been particularly vocal. Instead, this serves as a huge example of someone jumping ships from Marvel to DC. Previously, Gavin O'Connor (The Accountant) had written a version of Suicide Squad 2 and was on deck to direct, ultimately departing the project over creative differences, which paved the way for James Gunn to come in. We'll be sure to keep you posted as any additional details on the project are made available. The Suicide Squad is set to hit theaters on August 6, 2021. This news was previously reported by Deadline.